Do you want to double your paving business? We have been working with Jordan for around 2 years now. The first year we added an additional 250k to his bottom line, then he expanded the second year and we added 500k to his business. We are now half way through our third year and he's already closed 400k worth of business. That puts us on track to 1 million dollars this year. We have actually had some individual bids that came in over 1 million on their own but he could not complete the job because of various reasons like specialized equipment needed or being stretched to thin from his other work. We generate leads and we send them to you (and only you). Why would you ever pay for leads that are shared with your competitors? That's crazy (I'm looking at you home advisor and Angie's list). What would an additional 70, 80 or even 150 inbound calls a month do for your business? How many of those leads could YOU convert? 1 out of 10? 1 out of 5? Our record calls for one client is 398 calls in a 30 day period (that's insane)! That is a client with multiple locations though. This isn't even the full scope of the leads. There are also form submissions (so add 10 to 20 more form leads on top of that). These Paving Contractors do not do any outside advertising because they don't have to. How large of a job can you handle? 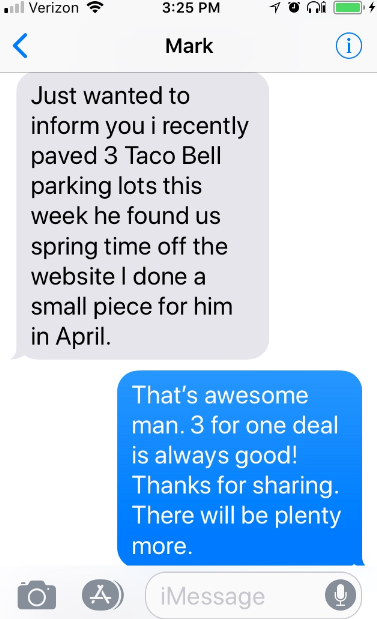 One of the reasons we are able to double, triple or even quadruple our partners paving business is because we routinely land parking lot deals. These can be small jobs around 10k to monster jobs over $500,000. We have had several bids go out over the million mark but so far we have not landed one (just a matter of time)! 142 Calls for a 3-location client (in 30 days). Every one of these calls came from us (we track them separate from the clients existing calls). What does your closing rate look like? This particular client closed over 175k that month and filled up his pipeline for several months in the future. Not bad for a 21 year old "kid" (Mark who is shown below). 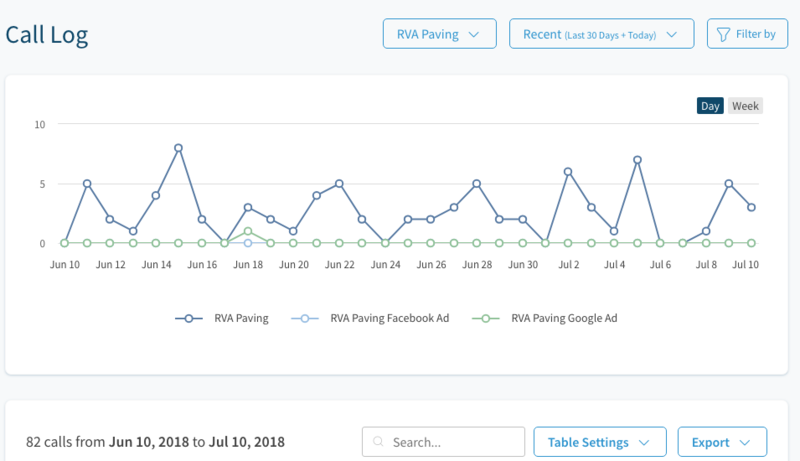 We generated 82 calls in a 30 day period! These are NOT calls from their existing customers (we track our leads). We generated 72 calls for another one of our clients in the same 30 day period! ​These are NOT calls from their existing customers (we track our leads). Skeptical? Sure, I don't blame you. There are a lot smoke blowers out there. ​Let's take a look at a few case studies. You already met Jordan above but I wanted to tell you more about him. 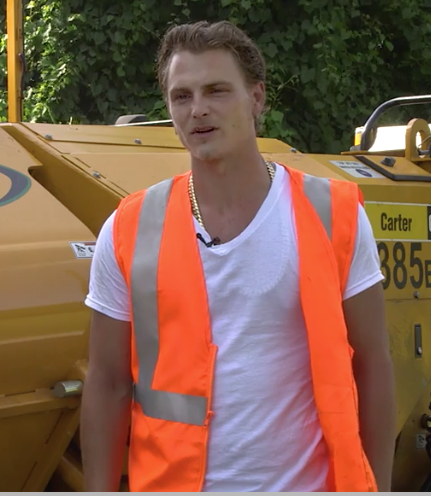 He's a great guy that grew up in a paving family (like most pavers do). He had a successful referral based business already but it mainly consisted of driveway paving with the occasional parking lot. After we started working for him we not only increased his driveway business but we exploded his parking lot business. 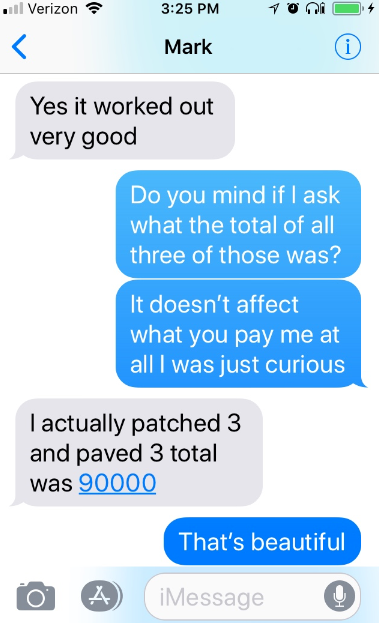 We regularly help him land 30k to 150k parking lot jobs and he's had a couple really nice ones (like a subdivision at the 350k mark). Not too shabby! 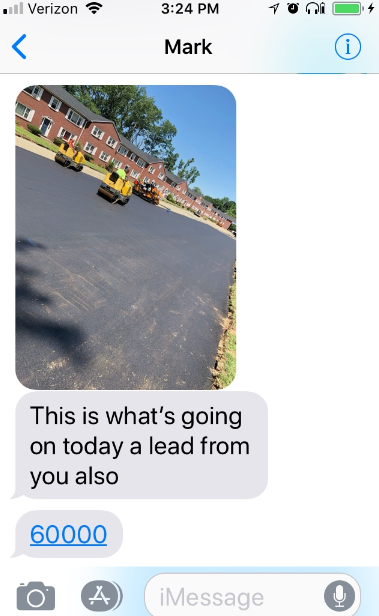 He's also paving my driveway for free because he wanted to "Thank me" for what I have done for his business. We have become good friends in the last two years. "I've worked with Brice for about 2 years now. 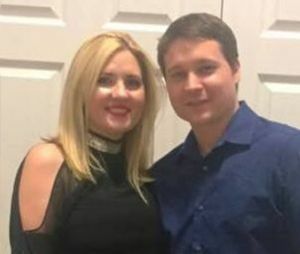 The first year we worked together he brought me in an additional $250,000 to my business. Since then, I've expanded with him and in the last four months I've brought in $400,000 and ​ I'm set to do an extra million by the end of the year"
Mark is Jordan's cousin, Jordan referred him to us after we got him crazy results. Mark is only 21 years old and is absolutely crushing it! He runs a full crew and has been keeping up nicely with all the paving work. Here are some of the back and forth texts we have had. 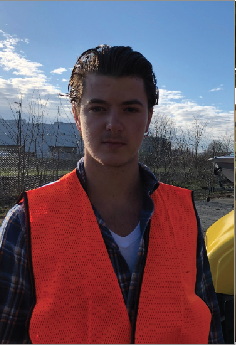 Josh is another young guy (young 20's) that was referred to us by one of our commercial roofing clients (the other industry we work in). He wanted an area that we had already sold but we only work with one person per area so he was willing to drive to the closest available area which was about 2 hours away. He's absolutely crushing it! ​(but read the requirements below first). Who we are looking for: The best part about being successful is that we can choose who we work with. This means that if you are a dirt bag then DO NOT APPLY (a dirt bag is someone that takes advantage of people, gets bad reviews, screws people over in any way, no-call-no-shows or is rude to employees). Keep it moving, we don't want to work with you. This is not a Charity: We also do not take on charity cases. If you are living paycheck to paycheck then come back later after you have a small nest egg. (No offense. I've had pay for my gas with pennies before). We help existing successful paving companies multiply their success, not teach new business owners how to setup shop. If you meet the requirements (shown below) then we would love to talk. We have fired all of our clients that have proven to be bad apples because life is too short to not work with good people. You are fully licensed and insured (This should go without saying). You can handle LARGE jobs (100k to 300k jobs). If you can't handle the million dollar jobs we understand that. Let's build until we get the resources to make that happen! You have AT LEAST 2 crews (1 crew will not be able to keep up). *If you have additional staff you can hire when you are busy then that would be an acceptable stop-gap but ideally you will want more than one crew. You are a good person. You are respectful to those you work with, those that work for you, and to the general public (see the "dirt bag" disclaimer above). ​You are in it for the long-haul. You want to grow your business and DOMINATE your market. Do not apply if you are a dirt bag, an A-hole, a charity. Look, I get it. Nobody likes to take a chance. We could post screenshots and testimonials all day but at the end of the day you are either going to be a good fit (or you're not). ​Either way is 100% fine. Submit an application, book a 15 minute call and lets find out if we are a good fit. Just so you know who you are talking to, my name is Brice. This is me with my (obviously, way out of my league) wife. We work together and employ 9 fantastic people and have done amazing things, made awesome friends and produced crazy results. We look forward to YOU being our next success story!